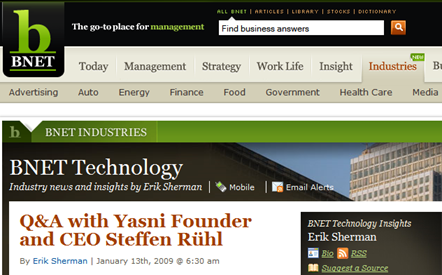 The yasni GmbH, operator of the people search engine Yasni (e.g. www.yasni.de, www.yasni.com), has successfully advanced its foreign expansion in 2011 and closes the fiscal year with a profit in the mid six-figure range. 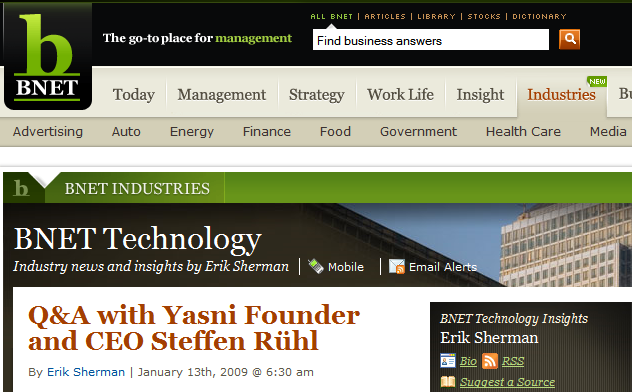 According to Comscore Yasni was amongst the Top 50 websites in Germany in 2008 and was the fastest growing Top 100 site. Ever since we have quadrupled our traffic and are not only set among the Top 30 websites in Germany but also among the largest worldwide. Yasni is one of the few websites that can show sustained traffic growth. The turnover has even been more than sixfolded since 2008 and since the middle of 2010 Yasni has made a profit every month. Within the fiscal year 2011 the seven-figure internal turnover of 2010 could be increased by more than 50 % and the profit has been multiplied to a mid six-figure amount. Our 20-member team expanded the Yasni site by five more languages and developed six new country versions with the respective local search index within the last 12 months. In the beginning year 2012 Russian as new language has already been launched and a comparable jump in turnover as well as a seven-figure profit is planned for the current year.